The e-Commerce goldrush in Malaysia has brought about a surge in demand for logistics providers to give their very best, and this has led to issues with being able to allocate enough resources for maximum efficiency. The demand is so high that leading logistics provider Pos Malaysia sees an average of 240,000 parcels being processed each day. To cope with the increasing demand, Pos Malaysia has embarked on transformational strategies such as setting up an RM 50 million Integrated Parcel Centre in Shah Alam in 2014, an an e-Commerce Hub, which provides various services such as kiosks offering various Pos Laju products and services, parcel lockers, prepaid dropbox and an Application Programming Interface (API). 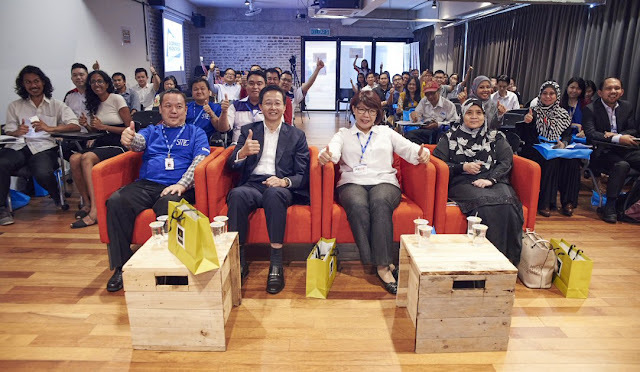 These were some of the findings following the successful conclusion of the SITEC E-Commerce Hackathon on Improving Consumer Confidence, organised by the Selangor Information Technology and E-Commerce Council (SITEC), which brought together industry players in a move towards setting up guidelines moving forward. Held on Aug 8 at the Selangor Digital Creative Centre (SDCC), the hackathon/symposium saw representatives from e-marketplaces, logistics, payment gateways, government agencies and the public engage in discourse and knowledge sharing of best practices, leading to a plan to put forward preliminary schematics seeking the improvement of the e-commerce industry as a whole. Gracing the event was YB Dato' Teng Chang Khim, Senior Councillor of the Selangor State Exco and Standing Committee Chairman of Investment, Industry & Trade, Small & Medium Enterprises (SMEs) and Transport; Wee Huay Neo, Director of e-Commerce Enablement at the Malaysian Digital Economy Corporation (MDEC); and Wan Rufaidah binti Dato' Haji Wan Omar, Chairperson of the Tribunal of Consumer Claims. "We have all the stakeholders here today, where we can talk to each other and find workable solutions to address issues faced in e-Commerce, and go from strength to strength as we move forward," said YB Dato' Teng during his welcome speech, who also noted that Malaysia has yet to realise its full potential as an e-Commerce trading center. MDEC's Wee stated that "MDEC is a great supporter of e-Commerce, and Selangor represents the microcosm that is the hopes of the federal government for the e-Commerce industry. We understand e-Commerce is very important, not to mention recession-proof. If you are not online, you are out of business. You are in the right field." "I can safely say that we have gone a long way from face-to-face business to doing business online, with the only walking being done by our fingers as we do our shopping online. The tribunal has heard 97, 000 cases regarding e-commerce since 2000, and the number has increased over the past 4 years. We are also concerned by the lack of consumer awareness of their rights, and the lack of safeguards in transactions. We urge industry players to up their game, as they play a very important role in increasing consumer confidence in Malaysia," said Wan Rufaidah, Chairperson of the Tribunal of Consumer Claims. SITEC Chief Executive Yong Kai Ping stated that this symposium/hackathon may not be able to find the silver bullet to all the issues faced, but represents the first step towards it. "We are kickstarting the discourse, and that itself is very important," he added. The event also marked the unveiling of a preliminary survey conducted by SITEC on the complaints of consumers regarding e-Commerce. The survey, presented by Yong, found that logistics services saw the biggest area of complaint, with 59% of respondents noting that they were not satisfied with the current services available. On the other hand, 90% of respondents felt that payment gateways were currently sufficient in serving the needs of consumers. However, respondents also noted that there was definitely still room for improvement with regards to payment gateways. While 87% of respondents preferred marketplaces to indie stores, 53% of those stated that they were unsatisfied with marketplace services, compared to the 47% who were satisfied with marketplaces as they are now. Zyllem's Nabil Faisal commented that his own survey results coincide with those of SITEC's and pointed out that logistics were indeed a major stumbling block to the advancement of e-Commerce. "But one thing to note is that, no matter how efficient the logistics players may be at processing the packages, the on-road carriers have the final say. Unfortunately, many on-road carriers are inefficient. Logistics players should engage delivery partners directly," said Nabil. "But we also have to be fair to the carriers, as resources are finite," he added. Azizi bin Mohamad Dahalan of Pos Malaysia also reasoned that despite Pos Malaysia having allocated funds to increase the number of their carriers, as well as converting part of their 5000-strong regular postmen fleet to carriers, it will take time before the operation will have its impact felt. Click Asia's Sunny Ooi acknowledged these statistics, and commented that people wanted things instantly, and may have unrealistic expectations of delivery services sometimes. which may also be due to merchants overpromising on delivery times. According to Photobook CEO Leow Wee Jonn, the low rate of satisfaction with delivery services is linked to the issue of capacity, as it has grown a sizeable amount over the year. "The demand issues involved is very hard to predict as e-Commerce undergoes peak and trough, especially considering the prevalence of short term promotions". He illustrated the issue of fluctuating demand with an example from Pos Malaysia, which ranges from 200,000 to 400,000 parcels a day, an issue that is almost impossible to solve with merely overtime or temporary staffing. The afternoon session saw three concurrent workshops being held, with each focusing on ways to improve customer satisfaction or to better their services in the coming years. 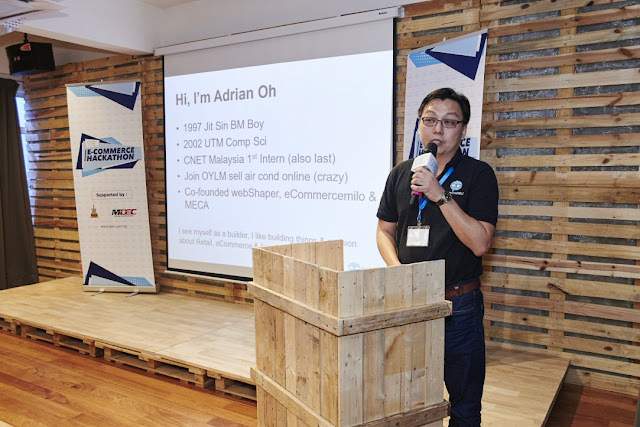 The Marketplace Solutions Workshop, hosted by Sunny Ooi of Click Asia, featured a panel of representatives from Lazada Malaysia, LogOn.my, Lelong.my and Youbeli.com. Attendees ranged from aspiring merchants and niche merchants to those with SKUs that number in the thousands. Discussion focused on key areas of improvement identified in the SITEC Consumer Sentiment Survey 2016, namely product descriptions and seller proficiency. The importance of customer service was stressed, and Lazada's Senior Business Development Manager Samantha Yong highlighted the importance and effectiveness of providing customers with a human connection instead of simply treating each sale as a faceless exchange of goods for profit. During the Q&A portion of the workshop, merchants brought up issues that affect their ability to reach and satisfy customers, including concerns about search algorithms that affect how customers find their products and payment processing timeframes by marketplaces. Quality communication between marketplaces and merchants were emphasized by both the panel and attendees as being the key to increasing customer satisfaction. The Payment Gateway Solutions workshop was hosted by SITEC's e-Commerce class manager, Goh Boon Peng and featured a panel comprising payment gateway providers. Representing Ipay88 was LK Chong; Molpay - Eng Sheng Guan, and Billplz Sdn Bhd - Nazroof Hakim. Joining the panel were representatives from online marketplaces, merchants and budding entrepreneurs for a discussion on the role of payment gateways in the local e-Commerce sphere. Transactions are generally secure with very low rates of fraud. Despite the high rate of satisfaction, members of the panel and attendees still see room for improvement. One of the primary obstacles faced by merchants and payment gateway providers is bank operations not able to cope with the load of transactions made, especially at the end of the month and during 'system downtimes' around midnight every day, which poses a concern for e-commerce as a whole as millennials tend to be more active with e-commerce in the wee hours of the morning. According to Molpay CEO Eng Sheng Guan, the most effective way to talk to the bank is via the central bank, as merchants have no other alternative. "However, the central bank could effectively push the reforms needed for the bank to adapt to the changing landscape that resulted from the rise of e-Commerce," he said. Discussion also focused on consumer risk from phishing scams and other instances of fraud. C2C e-Commerce transactions are the largest source of online fraud and scams, lacking the security provided by payment gateway providers, and the panel recommended that COD payments would eliminate this particular issue. The Logistics Solutions workshop was moderated by Photobook CEO Leow Wee Jonn, and had Azizi bin Mohamad Dahalan from Pos Malaysia, Nabil Faisal from Zyllem, and Clement Chau from EasyParcel as panelists and e-merchants as attendees. The main challenge identified throughout the session was that resources were difficult to allocate, as demand was hard to predict and logistics players could not appropriately augment handling when spikes happen. Another challenge identified was the matter of just expectations. While logistics players are tasked with delivering the items, merchants themselves are not playing a big enough role in managing customer expectations in terms of delivery. Most commonly, this manifests in the form of merchants overpromising customers on delivery deadlines. The focus at this time will be on the development of technology to aid logistics players in managing the increase in demand from e-commerce, as well as to improve just expectations. Another suggestion was for players to work from a shared pool of resources, be it vehicles or drivers, leading to a network of logistics providers working together to improve instead of working as separate entities. At the end of the event, SITEC's Yong noted that it was very important for every player in the e-Commerce industry to work closely with each other, to be able to explore issues, build discourse, and find solutions to advance the e-Commerce industry. "We lack discussion in the e-Commerce fraternity. We have a growing community, but we should be at the stage where anyone who joins is able to immediately grasp the current affairs of the e-Commerce sphere," said Yong, who also advised players to start thinking in terms of cross-border selling.